Biggest Maryland MIRock Field EVER! Rodney Williford was on FIRE at MIR! Beautiful September weather and a booming racing organization came together to produce the biggest Mickey Thompson MIRock Superbike Series ever held at Maryland International Raceway. MIR’s Fast by Gast Fall Nationals is always an autumn festival of speed, but with over 600 motorcycles entered, competition on the best-prepped track in the business was especially fierce. Two-time reigning Orient Express Pro Street champ Rodney Williford is on his game big time, coming straight off the trailer with a 6.99. 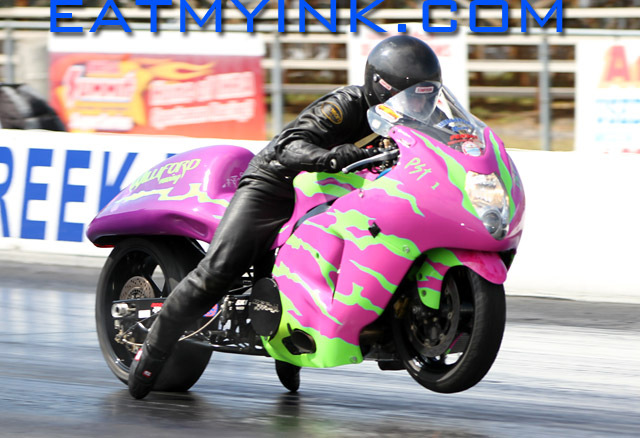 Williford ran as quick as 6.91 and never slower than 7.03 to take the win over Danny Cox, who had to let out when his Hampton Roads H-D nitrous Suzuki Hayabusa started to roll over on the top end. Number one qualifier Williford passed his season long rival Joey Gladstone in points, setting up an all-out championship brawl when the series reconvenes at Rockingham Dragway the first weekend of November. Gladstone’s DME Racing ‘Busa blew a fuse in the waterbox and failed to start against Cox in round 2. Jeremy Teasley and owner/tuner Roger Starrette were finally back in the MIR winners circle. MORE PHOTOS! It wasn’t a longshot that one of Roger Starrette’s nitrous-huffing Kawasaki ZX14s found it’s way to Maryland International Raceway’s winners circle. After all, three of the four bikes in the DME Real Street semifinals were his. Nor was it a surprise that multi-time Real Street champ Jeremy Teasley was the one hoisting the trophy. But it had been a while since Teasley and Starrette were in this position, and now they plan on staying there. Roger and Jeremy would like to thank Muzzy’s and Adams Performance. Chris Moore won’t want to see this shot of him losing the tree to Teasley. MORE PHOTOS! Jeremy Teasley and the RS Motorsports team. MORE PHOTOS! Ronnie Procopio, who’s won more championships than any other racer in MIRock history, can skip the Rockingham race if he wants, but he won’t. Procopio secured another Mickey Thompson Pro Mod championship with a win at MIR. Procopio broke the beam in the final when Maryland native Mac McAdams failed to show after damaging what he reckoned was his sixth engine in the last eight passes in the semi. Ryan Schnitz and the HTP Performance EFI/nitrous/Hayabusa “NJECTED” Pro Mod, along with Billy Vose and the similar MPS Racing ‘Busa, both stepped up their games in the battle to compete with the ancient GS motors that McAdams and Procopio race with. 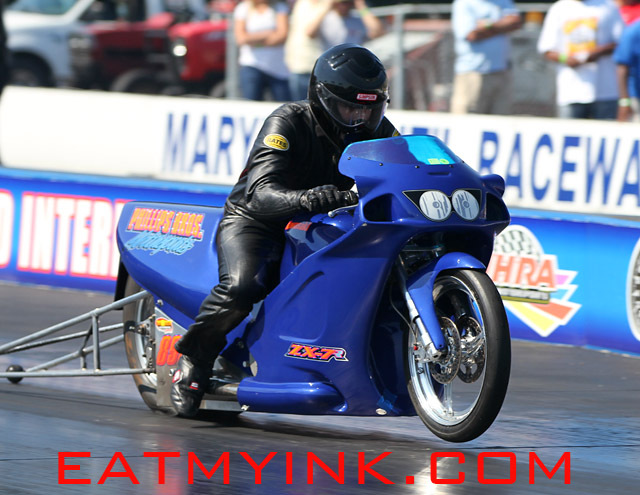 And surprise entrant Bob “Opie” Malloy laid down huge MPH and competitive passes on his nitro Harley, which made its initial debut at MIR almost 10 years ago. Trac King/APE Top Sportsman went to first-time winner William Phillips, a veteran racer claiming his first MIRock trophy. Phillips took the win when Devin McClain redlit in the final. “Fearsome” Andy Baumbach won maybe the best House of Speed Crazy 8s final ever over Bob Carlson…. Defending class champion “Fearsome” Andy Baumbach won House of Speed Crazy 8s in an epic battle over East Coast dominator Bob Carlson. Up to the challenge, Baumbach nailed a perfect .000 light to Carlson’s .005. Both bikes ran passes within .004 of each other. Carlson rebounded to win Sunday’s Fast By Gast Pro ET final over MIR homeboy Shayne Proctor, who also runner-upped in Sunday’s Brock’s Performance Street ET. That final was won by Derek “Head-Down-&-Serious” Crawford. Boo Brown won Saturday’s Street ET over Michael Herman Sr., and Saturday’s Pro ET final was won by James Farmer over Nicholas Hamlett. Like Carlson, Baumbach won one and lost one, as he runner-upped to North Carolina’s Curtis Griggs Jr. in the FBR Shop 5.60 Index final. Saturday’s Afterdark Underground ran in front of an intense crowd until 1:00 am. The featured race that actually happened was Lavar “Lil’ Charlie” Delee on “Moonshine” against Caleb McDougald. Delee took the night race, but his bike’s owner accepted the challenge of shortening “Moonshine” and rerunning the race on Sunday. That was a bad decision. The shortened chain broke at the masterlink and the purse went back the other way. Maryland BIKINIS! See the whole gallery of goodness HERE! The East Coast’s drop-dead best bikini models took the stage on Friday for MIR’s famous bikini contest. A really good looking girl won, and she was surrounded by a bunch of other really good looking girls who didn’t. Do we really have to wait ‘til next year for another one of these? 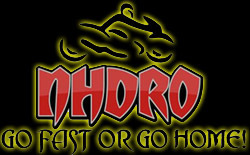 We don’t have to wait long for another Mickey Thompson Performance Tires MIRock Superbike Series race, as the Finals—that all-out, hustler’s paradise, sensation of the nation—is November 3-4, 2012 at Rockingham Dragway in Rockingham, North Carolina. MIR’s Bikini Contest NEVER Let’s Us Down! Maryland BIKINIS! Watch the whole gallery of goodness upload NOW HERE! 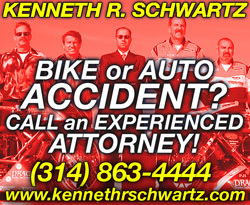 After both bikes made clean passes in tonight’s shakedowns, they still came back for more….shakedowns, that is…and the allegedly locked in race never happened. Teasley’s bike seemed to be going backwards with each pass. Asked whe the race would happen, Jeremy replied “Never”…but, Sunday is another day….In another race, Caleb got his clock cleaned by Lil’ Charlie on Moonshine. The race that’s taken all summer to run—Caleb Holt and Jeremy Teasley for a buck-twenty in prizes. As you can see, both bikes spun almost identically in this afternoon’s shakedowns. It’s locked in, WHAT IS GONNA HAPPEN TONIGHT?! 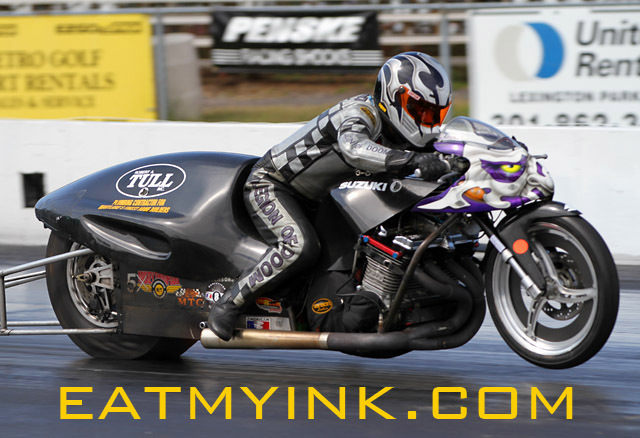 Maryland International Raceway’s autumn festival of speed returns September 29-30 when the Mickey Thompson MIRock Superbike Series rolls back into town with the world’s sickest drag racing motorcycles for the Fast by Gast Fall Nationals. The cooler end-of-September air meets the best-prepped track in the business and annually produces the quickest ETs and fastest speeds in the sport. That is especially true in Orient Express Pro Street, the class that saw Ryan Schnitz and the HTP Performance nitrous Suzuki Hayabusa (above) run the world’s first 6 second street tire pass at this event last year. Schnitz not only passed the milestone, he obliterated it with a 6.90. Two-time reigning Pro Street champ Rodney Williford and his season long rival Joey Gladstone also broke into the 6 second club earlier this year. They’ll be aiming to meet each other in yet another final round, hoping to gain record points with their turbo ‘Busas along the way. Gladstone’s DME Racing bike is a MPH-record-breaking-mad-machine. And don’t forget—nitrous 1000cc bikes get an extra 6 whopping inches of wheelbase to try and ring up their own big number. Kawasaki ZX14s gain an extra 1 inch starting at this event. 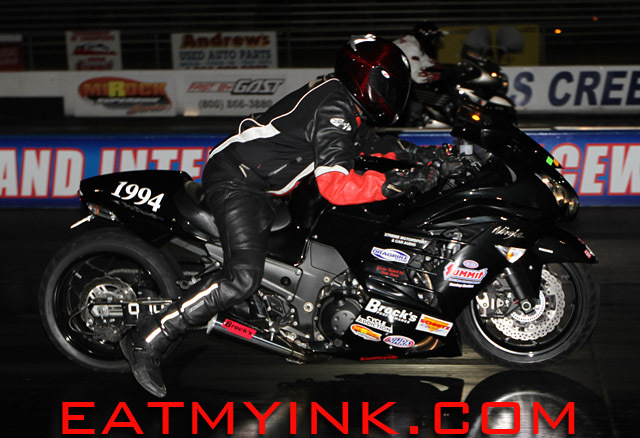 Mark Paquette and his badass black, turbo Kawasaki Funnybike set the outright eighth Mickey Thompson Pro Mod record at 4.036 and topped his own MPH record with a trap speed of 182.58. It’s a long way for busy Michigan businessman Paquette to come to MIR, but the chance to nail a 3 second lap might be incentive enough. 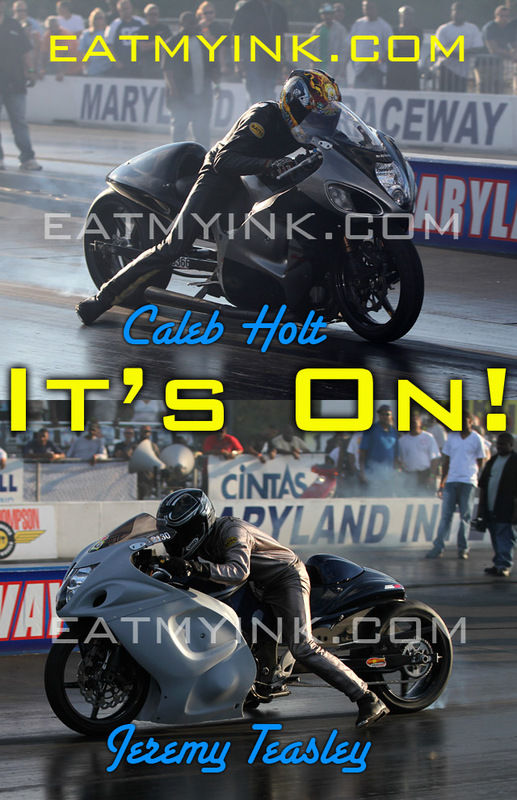 Also expect to see points leader Ronnie Procopio, Schnitz and the HTP Performance EFI/nitrous/Hayabusa “NJECTED” Pro Mod, Maryland native Mac McAdams, Billy Vose and the MPS Racing ‘Busa, Jamie Emery’s Nitro Harley, and many more. 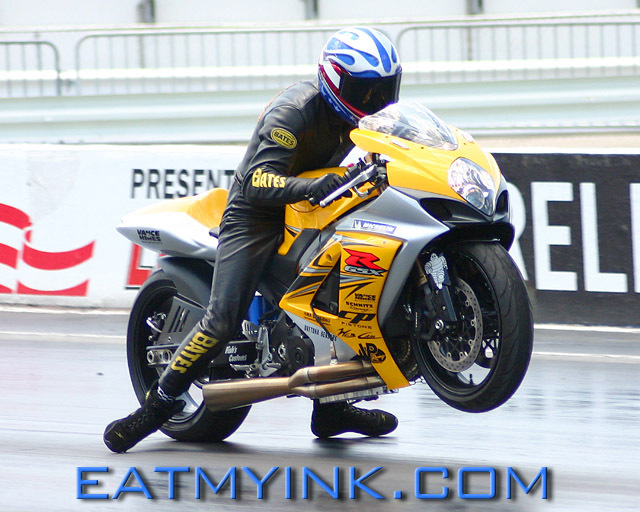 Johnny “Turbo” Dobrin and his Exoticycle turbo ‘Busa are ripping up the DME Racing Real Street class on their way to ending multi-time champ Jeremy Teasley and his nitrous-huffing Kawasaki ZX14’s reign. But just because Dobrin’s championship is all but secure doesn’t mean that Real Street hasn’t been an all-out dogfight. Kawasaki superstar Rickey Gadson, Brick City’s Ashon “Capo” Dickerson, “Super Dave” Stewart, Ed Murphy and others are all snarling for a piece of the action. Trac King/APE Top Sportsman, House of Speed Crazy 8s, FBR Shop 5.60 Index, Fast By Gast Pro ET, and Brock’s Performance Street ET will all feature huge packs of MIRock veterans going mano y mano for trophies, checks, and valuable points as the championship season winds down. Saturday’s Afterdark Underground will find the hook-up and crisp night air that sends the crowd pleasing, monster-long-wheelbase grudge bikes launching skyward under the stress of having all chips in. And speaking of hook-up, fans can only dream about it as the East Coast’s drop-dead best bikini models take the stage for MIR’s famous bikini contest. There is nothing better you can do with your weekend than be at MIR. Grow Your NOS 1000 6” in 3 Weeks! Chip Ellis’ GSXR1000 lifts up in Real Street trim…what can it do at 76″?! Orient Express Pro Street is off the hook. Nitrous injected and turbocharged big bore bikes and turbocharged liter bikes have all run 6.9 second passes. The class seems be in perfect harmony with strong bike counts and great racing action. Yet here is one combination left out of the party, and that is the nitrous injected liter bikes. Under the current PST rulebook, all combinations are limited to a 70″ maximum wheelbase. 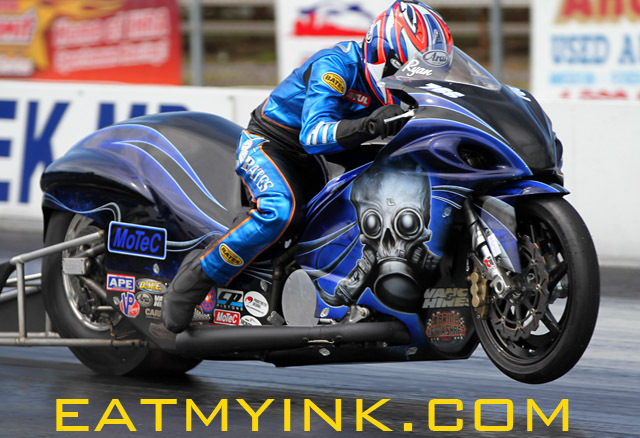 The nitrous injected liter bikes just do not have enough horsepower to lay down 210+ mph passes and need to be able to out front half their big bore competitors to have a shot at taking the stripe first. So the huffers in the MIRock tech shed have grown the nitrous injected liter bikes an additional 6″ of wheelbase to get them in the hunt. MIRock officials will monitor this combination as they always do to keep parity amongst the class, and if the additional wheelbase ever becomes too much of an advantage in the future for the nitrous injected liter bikes, then their wheelbase could possibly be shriveled a bit. 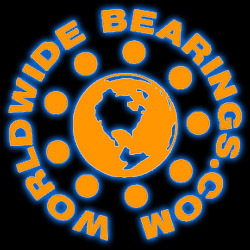 Another important rule revision in the class is MIRock will now be giving big bore bikes equipped with a flat 1.5″ oil pan or taller an additional inch of wheelbase. It has been brought to MIRock’s attention that the ZX14 has a limited choice of flat oil pans available, and 1.5″ deep is the shallowest oil pan on the market. There is a .25″ oil pan available for the Hayabusa. This leaves the weight of a ZX14 sitting 1.25″ higher than a ‘Busa because all bikes must pass 3″ ground clearance. 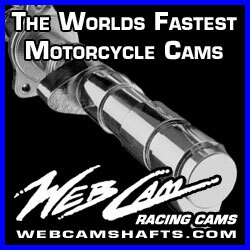 This rule change is not limited to the ZX-14 only, but any big bore bike that has a flat 1.5″ or taller oil pan will receive an 1″ extra of wheelbase. Good luck with that one Phill Davis. The new revisions will be in full-length effect on September 29-30th at the Fast by Gast “Fall Nationals” at Maryland International Raceway.